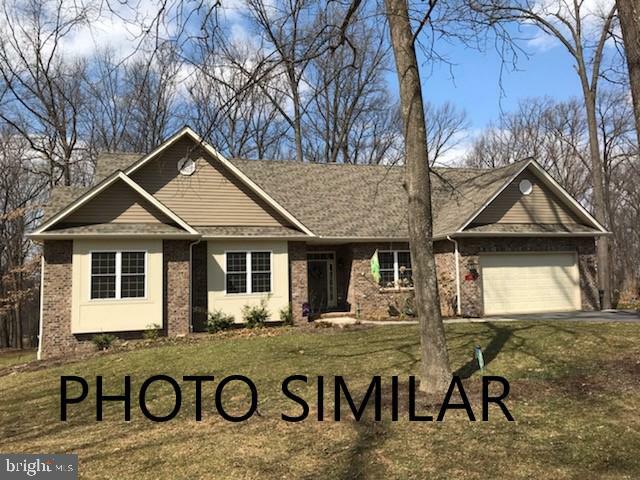 All Middletown homes currently listed for sale in Middletown as of 04/25/2019 are shown below. You can change the search criteria at any time by pressing the 'Change Search' button below. "The current owners have completed most of the work in this gorgeous 13,128 sq. ft., 1909(date stone at basement level NW corner) Colonial Revival style, two-story brick laid in six-course American bond, on coursed ashlar foundation, top course of basement acts as water table, hip shingle roof, with Colonial Revival style, porch with paired Tuscan columns with square capitals, large entablature and medallions. 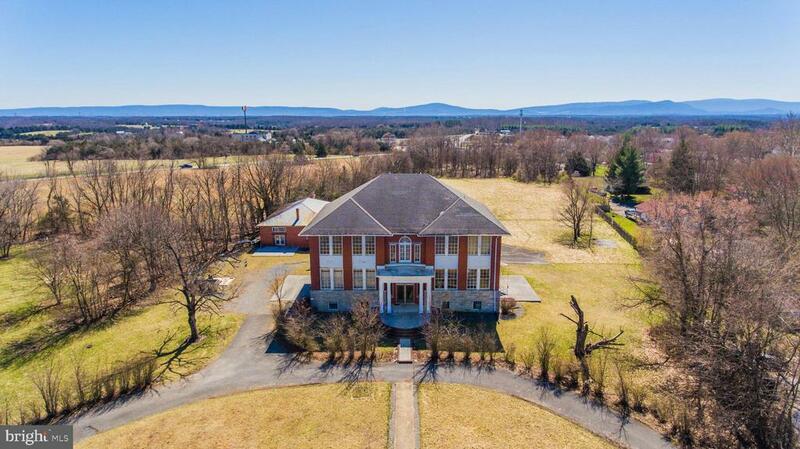 Built as one of the first agricultural high schools in Virginia and first high school in Frederick County, used as an elementary school from 1950-1983. Outbuilding is one story, hipped roof, with standing-seam metal roof on concrete foundation, stretcher bond brick (contributing resource), and was used as the cafeteria. Marble flooring, hardwood throughout. The opportunities are limitless with the almost 4 acres of land. The home is currently being used as a residential property. Schedule your showing today, and let this home wow you. With a few of your personal finishes, this will be a gorgeous home. Zoned B-1, neighborhood business"
"Perfect for your family to live & work from home. Zoned B-1 showcase retail space fronts historic RT 11. 1000 sq ft 2nd flr apartment for privacy, rental OR extra office space. Potential income will offset your living & business expenses. 2 story garage/shop w bath & HVAC offers an additional 3600+ sq footage. Renovated 2004/2017 ADA compliant. I-81/RT 66 Just south of growing Winchester area.."
"REDUCED!! LIST PRICE BELOW ASSESSED VALUE OF $626,500! 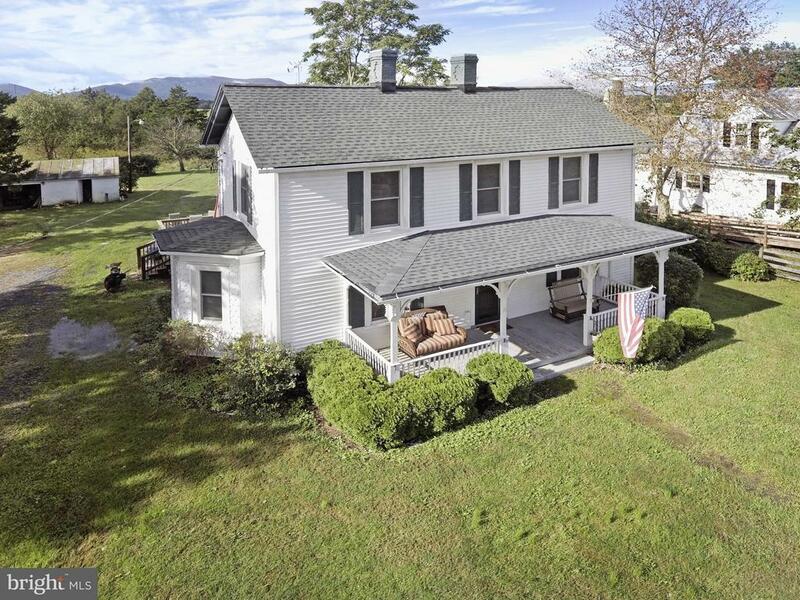 Come and see this beautiful 6/7 bedroom house and it's more than 17 acres with mountain views. This house offers plenty of room for entertaining or large family gatherings with its 4,230 sq ft. Extras include 9' ceilings, upgraded kitchen, gazebo and picnic area around one of the two ponds, a paved circular driveway, extra rooms on the main floor in lieu of a basement and much more! With over 17 acres, this property is perfect for horses, farm animals, and pets. 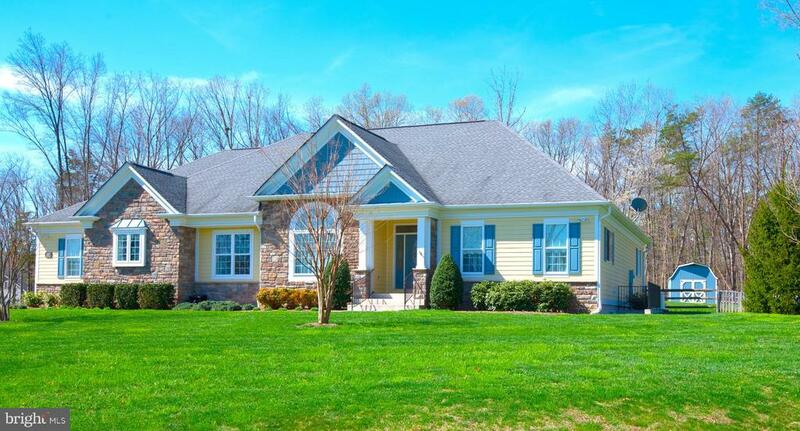 Located minutes from I-81 and I-66! 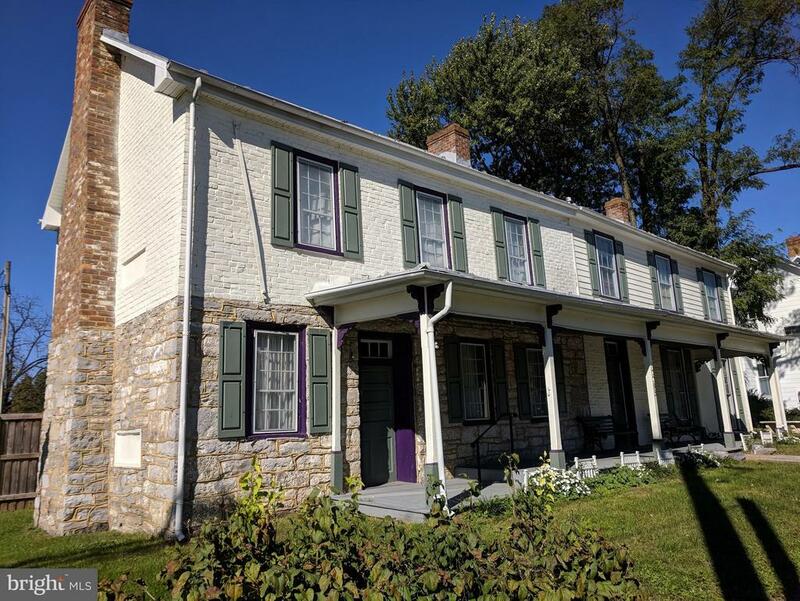 Additionally, Strasburg with its antique shops and dining as well as Cedar Creek Battlefield, and Belle Grove Plantation are so close, you could almost walk to them. The gazebo offers not only a place of relaxation, but a spot to watch waterfowl on your own ponds. This is a perfect home for large and/or growing families. Come and see it today." "Gorgeous ranch home boasts almost 4000 sq ft plus unfinished basement for even more expansion. This custom built, like new ranch home was built without sparing expense. All the upgrads you could want, such as Geo Thermal heating system, huge custom kitchen, rear screen patio, sprinkler system, over-sized garage, and even all the lawn equipment conveys! One level living is possible in this beauty, but there are also 2 bedrooms, a full bath, and office/bonus room upstairs. Hardwood and upgraded trim on first floor throughout. Master suite is truly sweet. Not just the size, but the amenities. Must see to appreciate this diamond in the rough. And the home sit on a flat 5 acre lot, which is partially cleared, and partially wooded for privacy. Make an appointment today!" "Brand New! Starting Soon. 3 miles to I66, Walmart, Lowes, Restaurants, shopping. You can choose colors! Builder has put all the bells and whistles in this one already!! Great location and new subdivision with only 7 lots total." "Like new secluded home on 5 unrestricted wooded acres (spectacular views including mountain views), with many upgrades! Wired for Comcast Internet & TV, Dual zone HVAC with dual fuel systems (heat pump w/ propane back up), whole house water treatment system conveys (RainSoft EC4 System), UV light, walkout basement w/ rough in plumbing ready to be finished the way you wish, screened in porch and large open deck for entertaining and relaxation, gas range, upgraded light cherry cabinets and marble counters, main floor master bedroom has insulated walls and solid door for noise barrier, master bath has separate shower and soaking tub with private water closet and extra large walk in closet, two story great room, pellet stove conveys, second floor bedroom has direct access to full bath, two car attached garage with separate man-door, large detached 3 car garage with workshop area, with 9 foot vehicle doors, with plenty of power and outside water, large shed (10~ x 22~) conveys. Private location and should not last. Hurry!" "PHOTO SIMILAR -- TO BE BUILT. 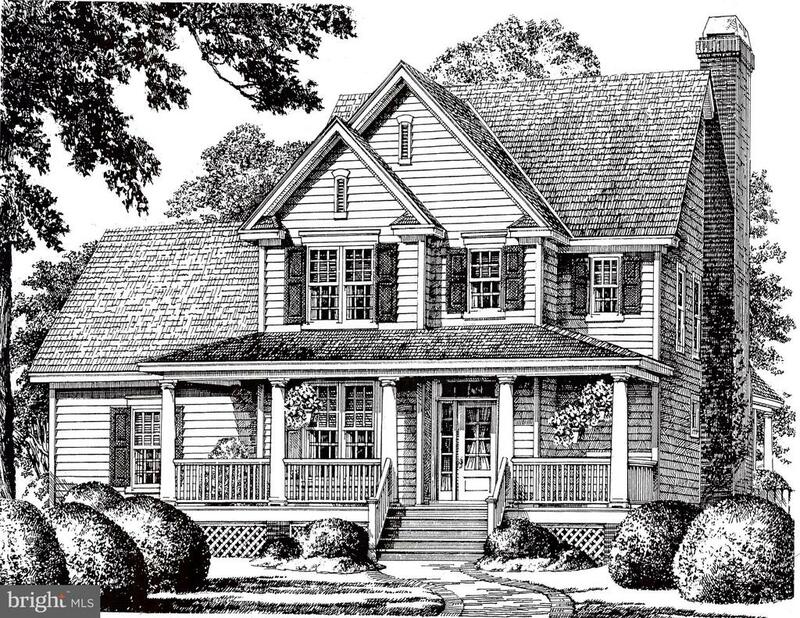 New construction, Colonial home TO BE BUILT by PATRIOT HOMES w/ Main Floor Master offering an open floor plan. Amenities include: wood floors, granite/stainless kitchen, gas fireplace, tile baths, and much more! Choose this floor plan or bring your own and enjoy a quality-built home by a reputable builder w/ a solid reputation. Lot is 7.74 acres, close to shopping and schools, and great commuter location. 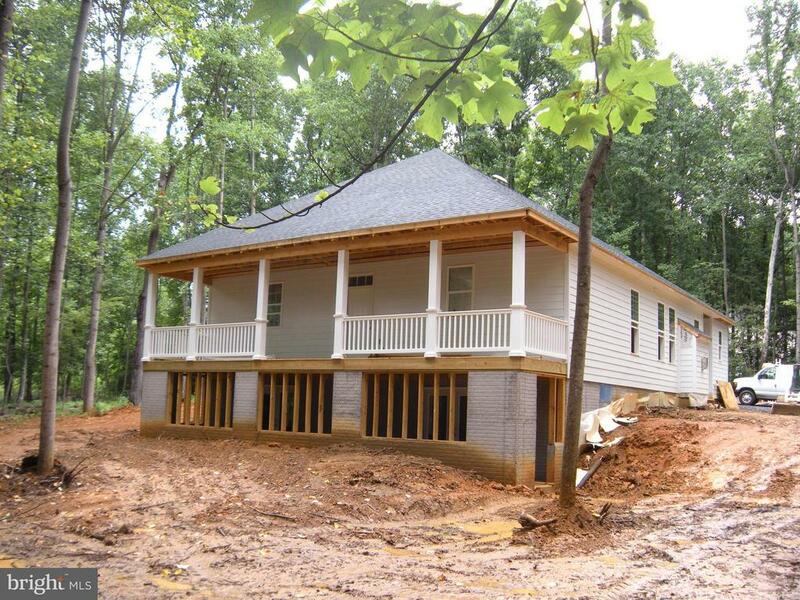 NO HOA & UNRESTRICTED"
"New construction, completion date of mid November. . The best in workmanship and quality. 9' ceilings, open floor plan, custom trim package. Gourmet kitchen w/island. 23 x 15 living room w/gas fireplace. Hardwood flooring throughout main level. Private setting within Chimney Hills, wooded 2.22 acre lot. Oversized 2 car garage. Covered front porch. Full basement, 2 rooms finished, 1 with bath." 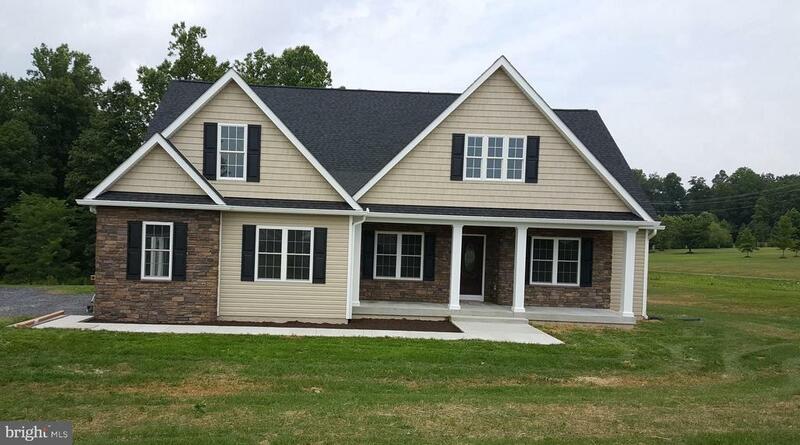 "Brand new home TO BE BUILT on beautiful tree-lined Katie Lane in Pineland Park subdivision. Lovely open floorplan features spacious rooms and a convenient layout. The vaulted ceiling in the family room with the fireplace will make entertaining even more enjoyable! Each bedroom has an attached bathroom. The master bath features a double vanity, shower and soaking tub. Granite countertops in the kitchen compliment the enhanced appliance package. Full unfinished basement that can easily double the size of your home once finished. Brick veneer front and vinyl siding. The large 16'x14' rear deck, perfectly situated for morning sunrises, completes this home! This brand new quality-built home by Patriot Homes will be constructed on the 1+ acre lot with beautiful views and a great location. Choose your colors and make this YOUR perfect home! Four notable golf courses within minutes. Easy commute - Rt. 66 and I-81 are both less than 3 miles away." "sold as is The information put in this listing was copied from the tax record. Total for sale is 27.85 acres. Lots 3 and 4 as stated on plat slide 189F." 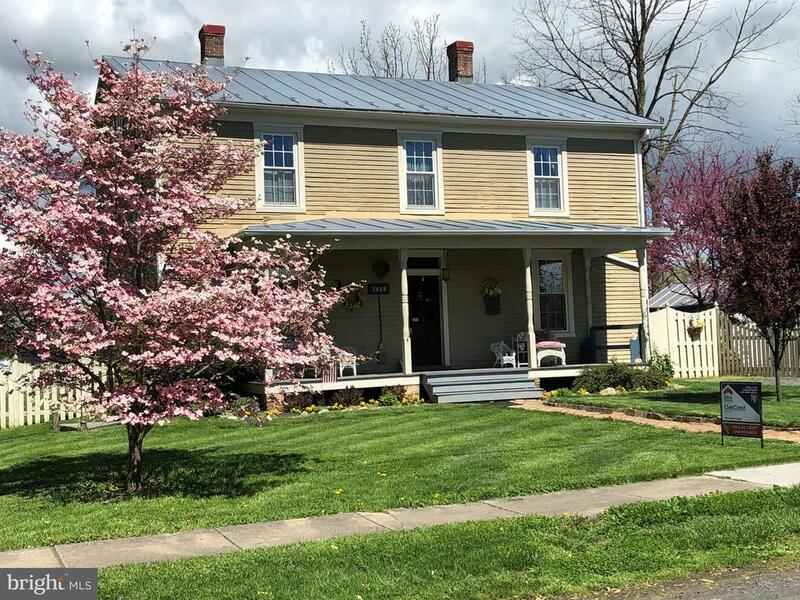 "Complete remodel of 1900s house in historic Middletown with additional apartment over the garage. Located one block from Main St, this house offers the best of small town living! The two homes together are perfect for a large family, office/studio space or rental income. 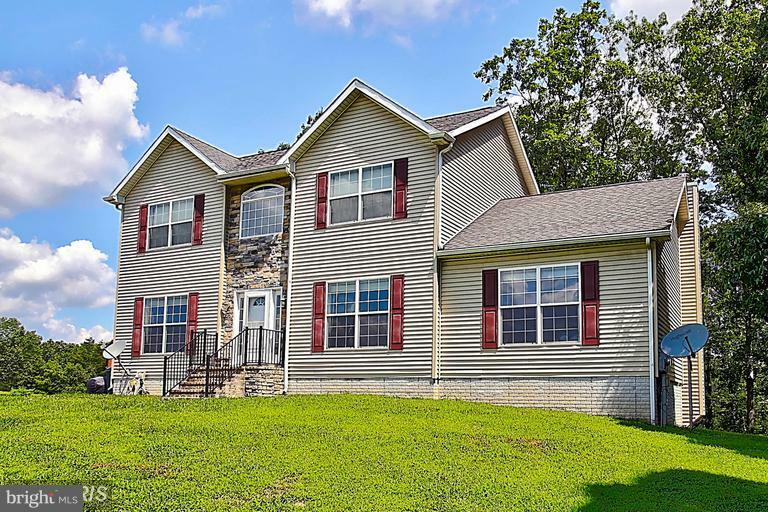 Total of 5 bedrooms, 4 full baths and 2 half baths!The 3 bedroom/2.5 bath home has new drywall, flooring, HVAC, water heater, paint appliances, bath fixtures, siding, and more. The metal roof has new paint and the attic has new insulation. All work done by licensed contractors. Next to the house is a large level grassy area great for cookouts and family picnics. A water cistern with a hand pump could potentially be used for watering the garden and lawn. The modern oversized garage built in 2016 has alley access plus heating, a half bath and a utility sink. Above the garage is an apartment with 2 bedrooms, 2 full baths and a full kitchen. 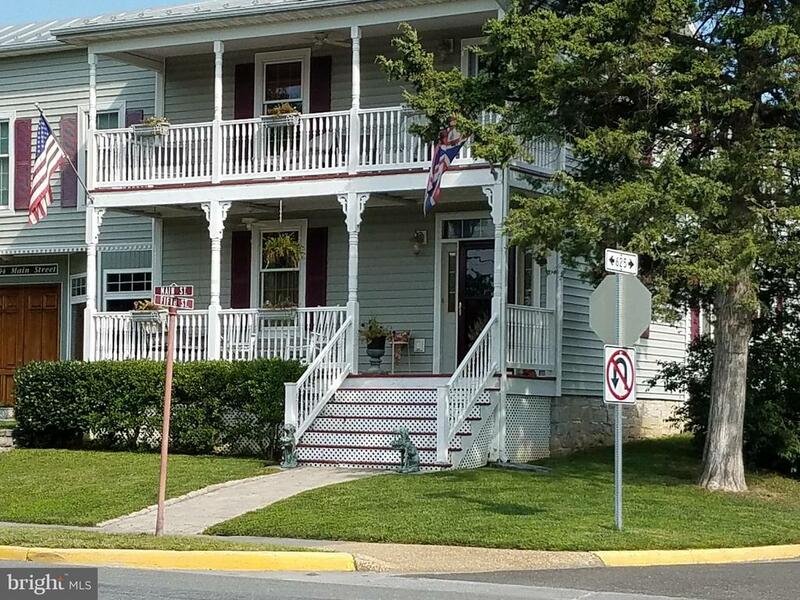 Walk to the post office, town hall, Wayside Inn, Nana's Irish Pub and more! Enjoy Middletown's Fourth of July and Christmas parades from your front porch! South of Winchester close to I-81 and I-66, Lord Fairfax Community College, National Park Service, Belle Grove and more. County records in are in the process of being updated to reflect changes made during the renovation. Copies of permits and inspection results available." "REDUCED!! Back on the market!! 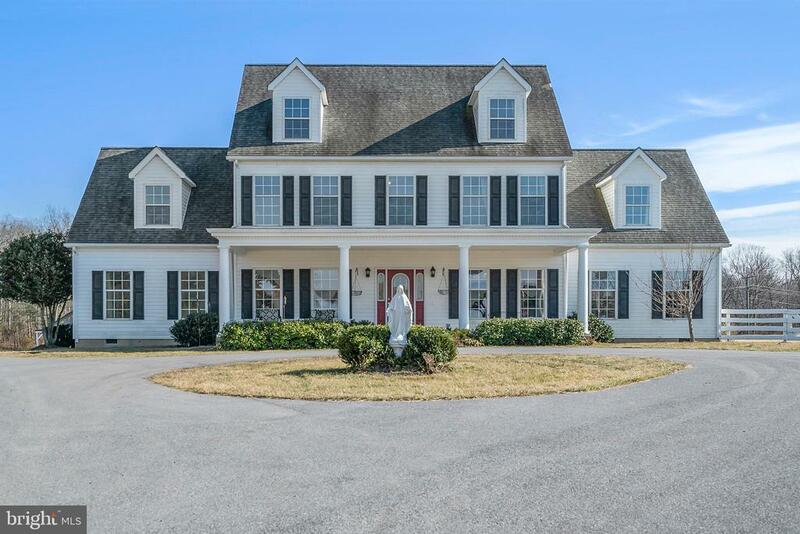 This meticulously maintained colonial is nestled on 2 rolling acres. Upgraded kitchen, with solid surface counters, and tile, 2 decks, finished basement, paved driveway, too much to list! Convenient to shopping/restaurants, as well as a perfect commuter location. And don't forget the MOUNTAIN VIEWS! Reliance Road is known for some of the best views in the county. Shed conveys." "Are you looking for that unique, one of a kind home in a very private location, look no further! Escape to this Private Retreat on Cedar Creek. This Beautiful log home features 3 bedrooms, and 2 full baths, cathedral ceilings, wood floors, exposed log walls and wood beams, and many windows overlooking Cedar Creek. Walk out your back door to go canoeing, fishing, swimming, tubing, or kayaking. 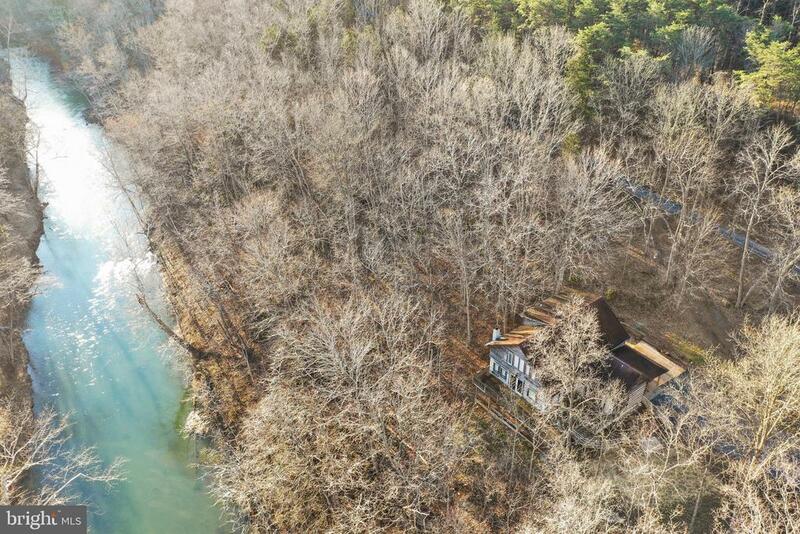 Property includes 5 acres with a gentle slope down to 292 feet of Cedar Creek Frontage. Beautiful setting with lots of mature trees! Home is not in the Flood Plain. Well maintained home that has been very well taken care of and shows pride of ownership!Don't miss the gorgeous drone video!" 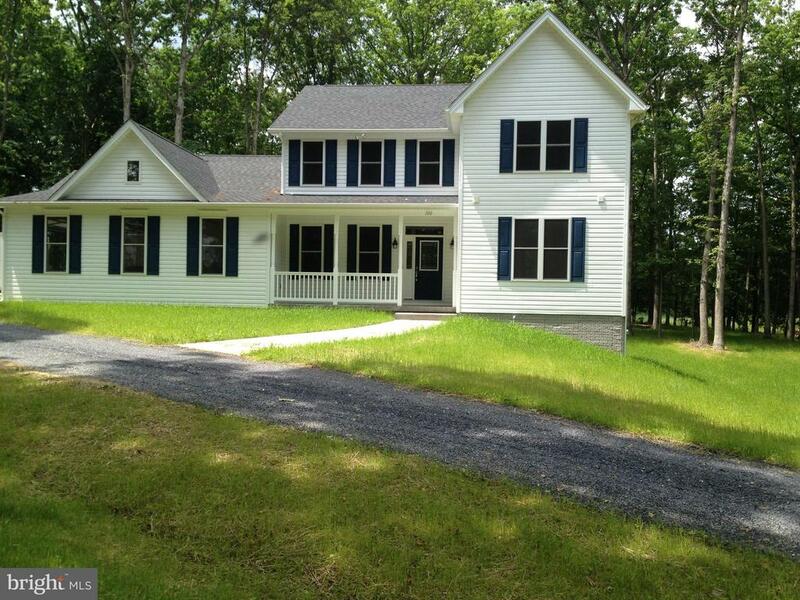 "Fully renovated 3 Bedroom, 3 Bath home located on the outskirts of town in Middletown, Va. 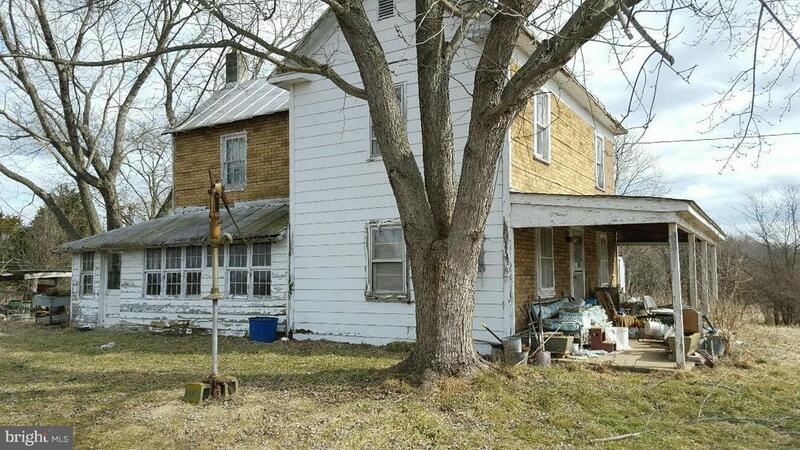 This property used to be the Reliance Post Office & General Store! This home has been completed remodeled w/ beautiful wood floors and wood trim. All bathrooms have been updated, as well as the kitchen. If you love history and older country homes full of character and charm then this home is for you!" "Circa 1900 Colonial with surprisingly spacious interior with original woodwork and wood floors. Center Hall floorplan, with mainfloor bedroom and full bath. Huge eat-in kitchen with lots of storage opens to covered side porch and large flat side yard for entertaining or sports and games. Detached garage has floored storage or studio space. Easy access to I-81, Rte 66." "Historic Main St.zoned B-1 Extensively renovated 1985 w recent improvements. Large open rooms, 2 masters w private baths up & possible bedroom on main level. Exposed brick 3 FPs, 2016 HVAC & water heater. Enjoy parades & festivals on your front porch! Parking possible in back. Walk to Wayside Inn or Nana's. By Belle Grove, Nat'l Park Center & Lord Fairfax Community College. Easy access to I-81/66"